Very nice hotel w/friendly staff. My room was very clean & comfortable. I will definitely stay here again when I fly out of Indy! Room equipped with bathroom shower bars--so important for increasingly aging population (and so often absent). Room looked and felt clean. Pleasant environment. Staff pleasant and helpful. I'd use this facility again. This is a very nice hotel, I will stay here again. 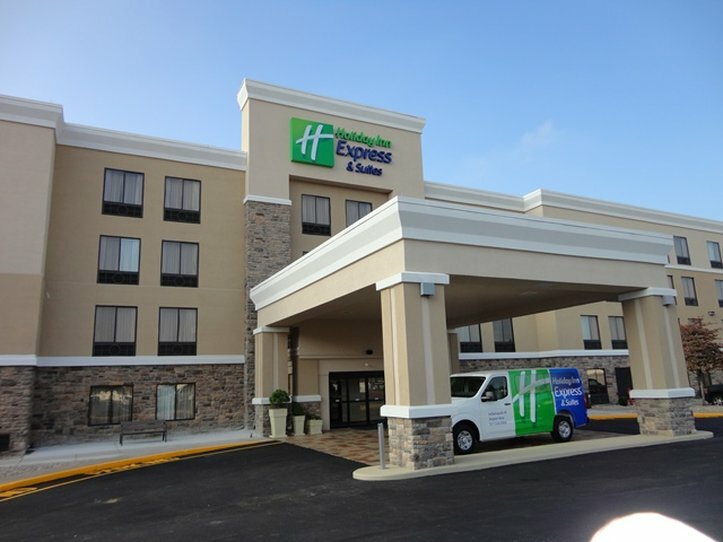 After checking several hotels I chose Holiday Inn Express. The price was better and the staff were very helpful. There was even something to eat at 4:45 a.m. before taking the shuttle to the airport! Nice hotel & good rate for a park, stay & fly. A little farther from the airport than I would have liked, but all in all it was a good stay. Took awhile for the shuttle to come get us, but then again, the distance made a difference. Would stay there again.